Services like daily cleaning, electricity, water and cable TV are included in the fee. 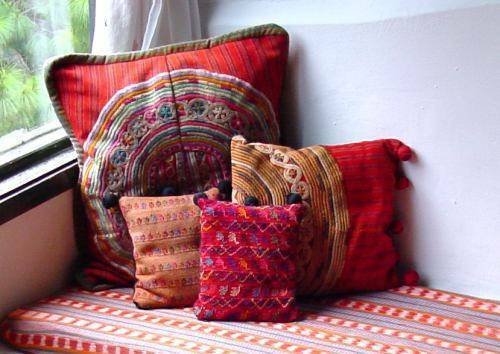 Each apartment is inspired by respect for the culture and ecology. Our solar water heating panels system is extremely efficient and environmentally friendly. Our common areas include: parking, corridors, gardens, sport’s field and meeting corridor. Peace and quiet surround the building that is only interrupted by the occasional twitter of our local birds. Additional charges apply only to the use of telephone, personal laundry and Internet services (Wifi available). With more than a decade of experience operating and hosting residences at UXLABIL, we are ready to offer you an unforgettable pleasant experience..
Eco Suites Uxlabil Guatemala, your temporary home, offers you fully furnished and tastefully decorated apartments, inspired by the Mayan culture. Our services includes the use of common areas for social or business meetings, the sports area and a few fitness machines and by a small additional fee you can enjoy our brand new sauna and jacuzzi. We're constantly renovating ourselves, so in December of this year we're planning to open our Coffee-Bar, so you can have a more pleasant experience with us. We can also help you with car rentals or tours acquisitions if you like. 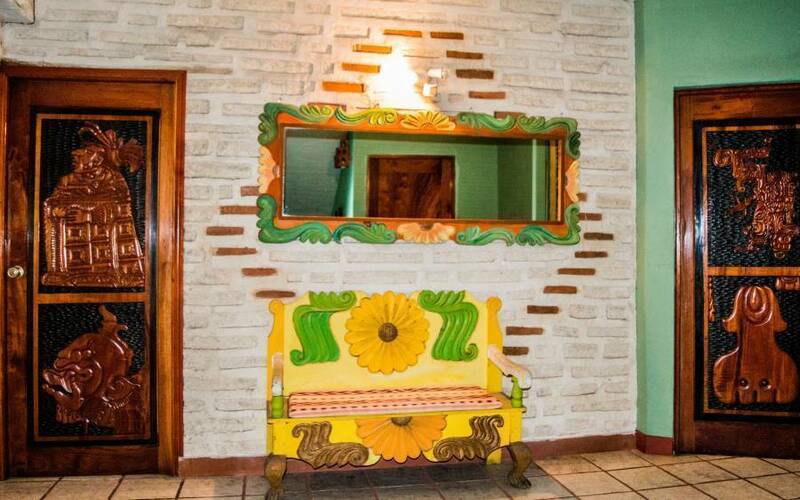 Each apartment is tastefully decorated inspired by the Mayan Culture. 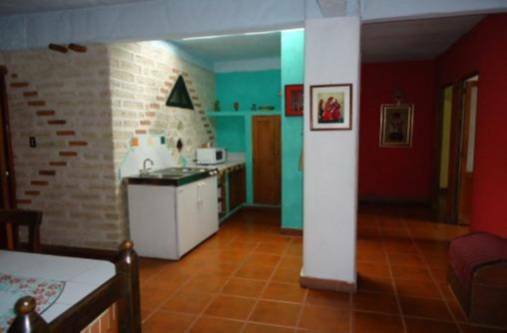 All apartments are equipped and furnished with a full kitchen (stove, refrigerator, dish washer, etc.) 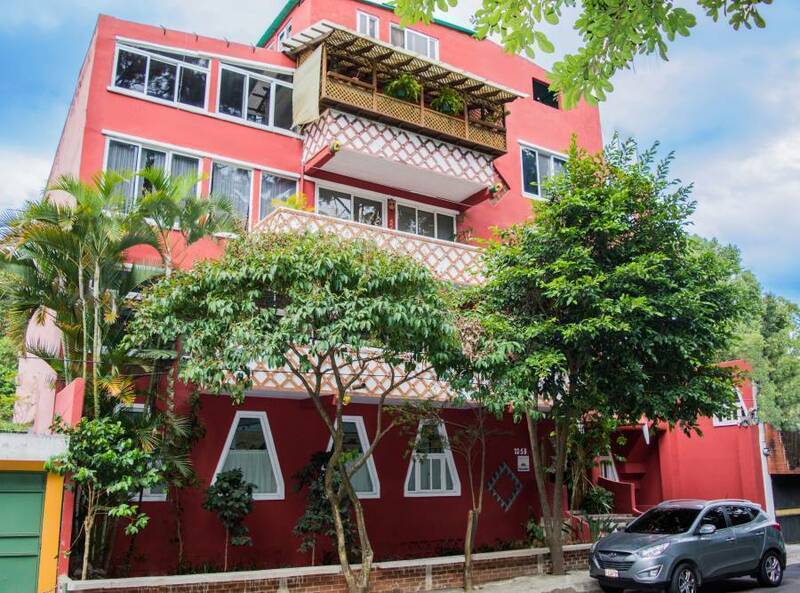 The rent also includes: daily cleaning, whites washing every week or every 3 days without extra charge, energy, water, cable TV, internet, usage of the common areas, etc. 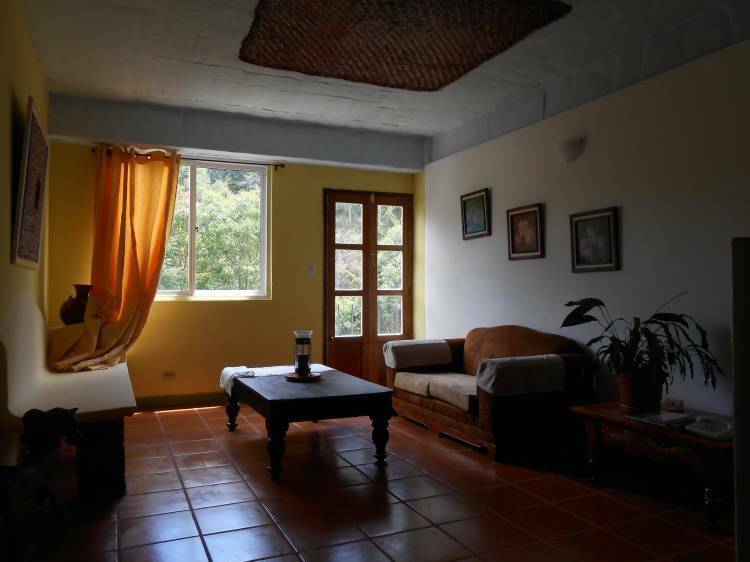 The Oakland Residential is a very quiet, central situated and secure area of Guatemala City. Oakland is a subdivision within Zone 10, a residential area situated at walking distance from Zona Viva: An exclusive area of restaurants, bookstores and other amenities. The surrounded area is a perfect setting for walking and jogging because it has security, a lot of trees and nature which is a very uncommon thing to have this days within the city. If you have kids there is also a playground near by, approximately at a 5-10 minutes walk. Monthly fee: between $600 and $900, depending on the size of the selected apartment. Weekly fee: between $225 and $ 350. Daily fee: between $ 45 and $ 85, depending on the number of guests using the apartment. It will depend on the number of days of your stay. Eco Suites Uxlabil Guatemala is located in zone 10 at Oakland Residential, only 15 minutes away from Guatemala´s La Aurora International Airport. 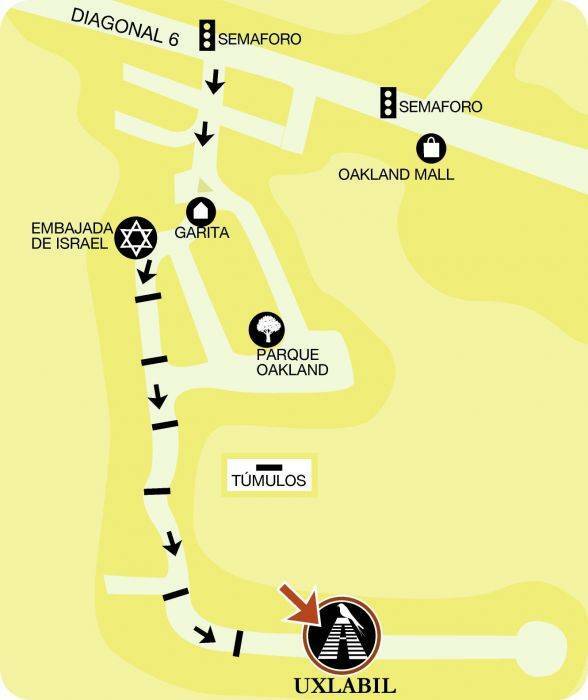 We suggest you to ask the cab driver to enter Oakland at the gate on 13th Avenue, the one in front of the Israeli Embassy and then to take the street or path on the right side and to go all the way down (by 15th Final Avenue), almost until the Oakland Residential ends. You can say that we're located on the last street of the Oakland Residential and our four-level building is the only one dark-red colored. If you come by plane, we advice you to take a taxi (Yellow or Green Express Cabs are the most reliable ones) from La Aurora International Airport, the rate would be (depending on traffic) around $7. 00. Public transportation is available only at the outside of the Oakland Residential and then you'll have to take a 15 minutes walk to the building. Nearest airport: La Aurora International Airport, 15 minutes by car.